Fixed a client UI bug affecting some form submission. For further information about 1.9 branch, please read the NRS 1.9.0e release notes. "The Nxt Foundation will be in contact with exchanges to help out with this process. Will keep you updated." It is a required update for all testnet nodes, optional for main net. This release enables taking multiple snapshots of accounts NXT balances, every 60 blocks, for a period of 90 days, and distributing an ARDR token based on the average of those balances, at the end of the snapshot, to be used for the Ardor consensus chain token distribution in Nxt 2.0. On testnet, the snapshot will start at block 649400 and end at block 779000 (June 24). On mainnet, the snapshot will start at block 870400 (expected July 14) and end at block 1000000 (Oct 12). Since on testnet the starting block is in the past, on upgrade to this release a blockchain rescan will be performed automatically in order to calculate past account balances. Those who delay upgrading their mainnet nodes until after block 870400 will also experience such a rescan. However, the hard fork block is set at the end of the snapshot, so the final deadline for upgrading to 1.9 is at blocks 779000 and 1000000 respectively. To get your ARDR tokens, it is essential that you keep your NXT balance in your own account. There is no need to run a node or forge. It is the confirmed NXT balance that is used for the snapshot, not the unconfirmed (available) balance, so having some NXT locked in open AE bid orders, shufflings, etc, will not affect your ARDR distribution. A new getFxtQuantity API has been added, which allows retrieving the already accumulated ARDR quantity for each account during the snapshot, and an estimate for the quantity yet to be obtained. While snapshots are done every 60 blocks, the numbers that this API returns are updated once every 720 blocks only. Snapshot balances used for the ARDR distribution for a specific account can be recorded in the log by setting the nxt.logFxtBalance property to that account number, and performing a rescan if the snapshot has already started. Added some additional transaction bytes validation, and phasing parameters validation, to take effect after the hardfork. Added getAssetDividends API, to retrieve the dividend payment history for an asset. It can be viewed in the client by clicking on the new "View Asset Dividends" link on the asset exchange page. Dividend payments made before a node is updated to 1.9.0e will not show in this history, unless a blockchain rescan is forced manually. After the hardfork block, asset dividend payment transactions will be limited to not more than one per asset every 60 blocks. Added a new Messages table in the client UI. Allowed uploading a file as a message attachment, plain or encrypted, and downloading such messages as files. All create transaction APIs that support prunable message attachments now also optionally accept multipart file uploads as messageFile or messageToEncryptFile parameters, or when using client-side encrypted data the data part can also be uploaded using encryptedMessageFile parameter. As the test API page does not support multiple file upload parameters, upload buttons for those are not currently available there. Accept sharedKey parameter in downloadPrunableMessage and getPrunableMessage APIs. Added client UI support for decrypting messages using a shared key, to allow disclosing the shared key for a specific encrypted message to a third party in order to decrypt it without having to reveal the account passphrase. Forging optimization to reduce block skipping when switching forks. Minor other bugfixes and UI improvements. installing manually, make sure to delete the old lib folder first. ARDOR is brought to you by the core development team from Nxt. After years of building and testing the Nxt platform, the team is going to involve the public even more. As the first Blockchain 2.0 platform, the community has continually improved Nxt and now looks forward to release Ardor for companies, organizations, and of course, users. 1. great warmth of feeling; fervor. The Nxt core dev team is letting anyone get into the blockchain space with a new child chain platform, ARDOR, which will incorporate the technologies proven for years by the Nxt 1.0 cryptocurrency and blockchain. Soon, anyone will be able to create their own solutions using the blockchain technology with the Ardor child chains. Nxt is undergoing a dramatic evolution. Research by the Nxt team has led to Ardor, a platform that uses child chains and incorporates all of Nxt’s latest blockchain innovations while being backed by the core developers of Nxt. Ardor is more than just about money: It’s about making a blockchain platform that is open to everyone, from single users all the way up to FinTech startups and governments, and one where anyone can create their own child chain and interact with the whole blockchain ecosystem. That means anyone, anywhere, will be able to utilize blockchain services with relative ease. We can’t give away too much until the final features of Ardor are tested repeatedly. Ardor will open blockchain development to organizations and individuals across the world. The high barriers to getting started with blockchain are about to vanish. Ardor will solve the problem of scalability by separating transactions and data that do not affect security from those that do, and moving all of those that don’t affect security onto child chains. The Ardor team will create the first child chain to house many Nxt 1.0 tools as well as future features. This small size also comes with short transaction times so processes need only a fraction of time compared to Bitcoin to execute functions. Building off of the Asset Exchange on Nxt, Ardor will enable the ability to trade assets on any child chain for any of the child chain tokens. This allows child chains to interact with each other and opens up numerous opportunities for collaboration as well as allow cross chain asset trading, a long-requested feature within the Nxt ecosystem. Ardor will be at the core of decentralized consensus in the future. Secure and anonymous voting will be an available feature on all child chains as it is on the Nxt platform. Users can set multiple conditions before a transaction is executed, such as a minimum number of votes and a set amount of time. Like Nxt, Ardor will use Smart Transactions. With this, users will only need to submit the parameters necessary for the transaction and the ID of the functionality they want to use. The transaction process is also completely decentralized. No centralized server, service, or application, like Ethereum’s Oracle, is needed. These are a few of the things Ardor will give you and the cryptocurrency community. 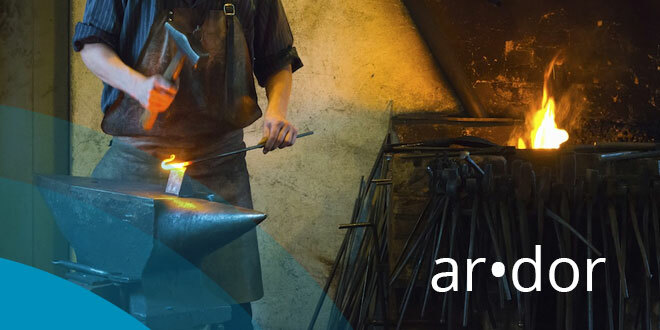 As development continues and testing is finalized, you’ll get a detailed analysis of each of the new tools, as well as the core features built into Ardor. We’ll also reveal, step-by-step, a list of our partners and what they’re doing with our technology. This is all possible because of new developments within the Nxt community. Decision-making and planning is becoming more professionalized. The community and team structure are adjusting to the new demands while the Nxt and Ardor technology remains entirely open source. Ardor is more than a cryptocurrency – it’s a blockchain platform specifically designed to let anyone build decentralized tools with the latest innovations in blockchain technology. You’ll be able to participate in Ardor right away. As Ardor continues testing and development, Nxt 1.9 will be released. With Nxt 1.9, you’ll get your first chance to own a piece of Ardor. All those who hold an amount of NXT will also get a piece of Ardor. Snapshots will start be taken on an hourly basis, starting on July 14th to October 12th. Then, your total NXT will be averaged, and you’ll receive that amount in Ardor tokens on October 12th, which will be freely tradeable up until the Ardor system launches. At block 1,000,000 on October 12th, 2016, snapshotting will stop, and you’ll be allowed to trade your Ardor tokens in NXT 1.9 in preparation for the launch of the Ardor blockchain. After Ardor has launched, Nxt 1.0 will remain active and supported. Nxt 1.0 is the giant on which Ardor is built and it will remain running as a core component of the Nxt eco-system, functioning as a complete blockchain solution in its own right, as well as assisting in the development and refinement of the Ardor blockchain platform. There’ll be a lot more news in the weeks and months to come. Ardor aims to be a powerful platform for users and businesses alike by building on the technology pioneered by Bitcoin and Nxt. 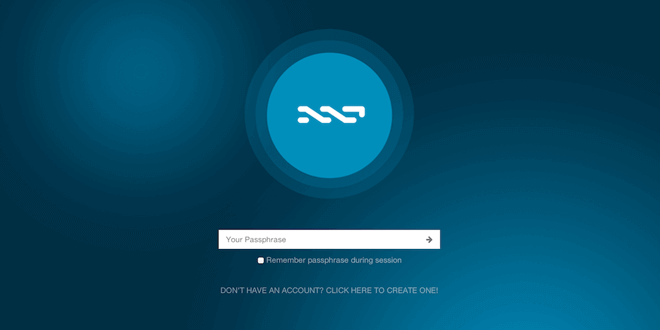 If you would like to be a part of it, acquire NXT now and get your stake in ARDOR!